Preschool. It has changed a lot since our generation of moms were children. Now there are so many options. 3-year-old preschool. 4-year-old preschool. Nursery school. Its something that has filled me with dread since my son was born. Personally, I have decided to skip the 3-year-old preschool in favor of homeschool. I have a few reasons for this. One being that preschool can be super expensive. Secondly, I am home with my son. I have a little bit of background in early childhood, so I am confident I can teach him the things he’s learn. Also, he gets the social aspect of school from rec center classes and his skating classes. Many families choose to send their children to school at 3 years old. That’s fine. You have to find what works best for your family. 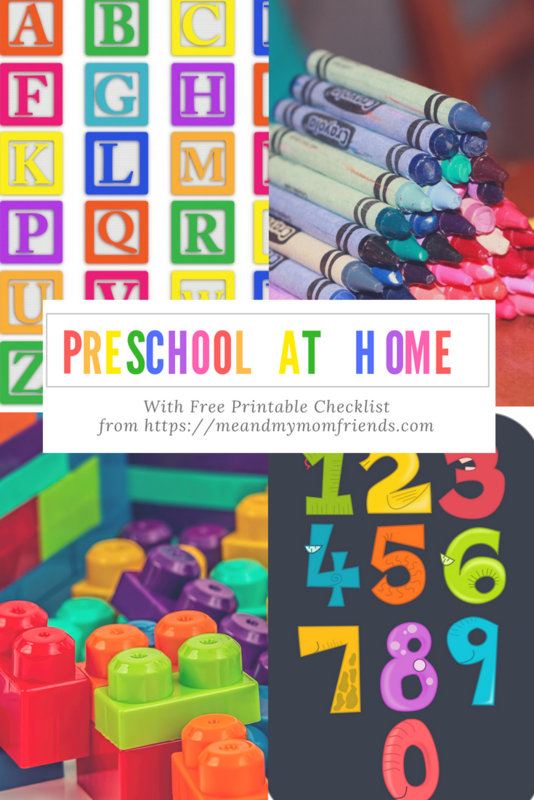 If you are thinking about doing preschool at home, I have put together a checklist of things we are working on that may be helpful. My son can sing his ABC’s well. We are starting to work on learning the individual letters. We are starting with capital letters. For resources, we have flash cards, alphabet books, and also a chalk board easel we use for practicing writing them. My son is working on his numbers. He can count up to 20. Sometimes he forgets 16, but mostly he has it down. Our goal between now and when he starts actual preschool is to be able to count to 30. We are working on number recognition as well. The goal is to be able to recognize the numbers from 1 to 10. Another numbers skill we are working on is counting objects. My son could recite the numbers at a young age. However, he is only now getting the correlation of counting objects, and that each object has its own number. 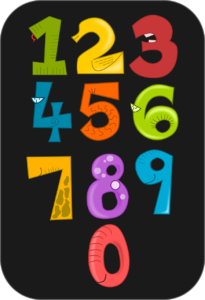 Our preschool resources for these activities are things like flashcards, number books, small toys or candies for counting, and the chalk board easel for writing numbers. This is one of my favorite preschool things to work on. 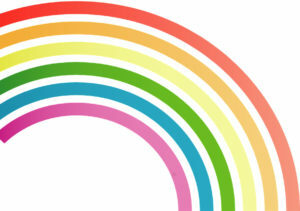 Simply because there are so many ways you can teach colors. 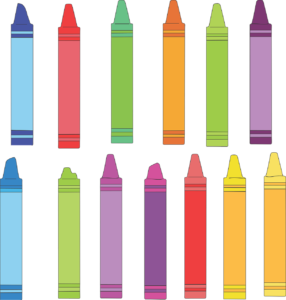 Our goal is to learn and identify all the colors by the time preschool starts. There are endless resources for this. You can use candy, crayons, paints, toys, or almost anything colorful to help your child learn this. There are plenty of books on colors as well. Another preschool learning goal for us is patterns. We haven’t started this one quite yet. But the idea is to teach the child to identify patterns and be able to continue them. Again, most anything that you have multiple of can be used. Personally, I am thinking of using different shapes because that has the added benefit of helping learn the shapes as well. Being able to distinguish between different sizes of object is another skill we are working on. The concept of big, bigger, and biggest is a skill that is useful for beginning mathematics. The different parts of the body are another concept we are working on for preschool. Being able to name and distinguish the different body parts is very important. For this, we play a game during bath time. I will give my son a cup of water and tell him “wash your elbow” or “wash your knee” and he has to pour the water over the correct part. 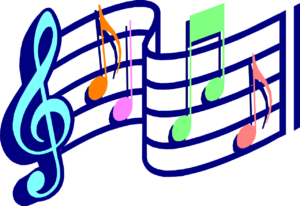 He thinks it is great fun, and he is learning all the different parts quickly. These are basic skills that children learn in preschool and perfect in kindergarten and elementary school. I try and do at least one activity a day that involves one of these skills. Resources are simple. Coloring books, construction paper, washable paints, and glue sticks will all come in handy. You can check out my complete list of Must-Have Craft Supplies HERE. Reading to children is so important. It helps them develop language skills, and comprehension. It also encourages the use of their imagination which is developing in a big way at the preschool age. The goals we have with reading include being able to listen to a story read aloud, to explain what happened in the story, and eventually to start learning and identifying site words. Any children’s book can be used. Just take the time to read with them. 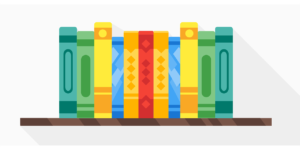 Local libraries are also an excellent resource for new and exciting stories. Toddlers tend to be little walking balls of energy. Another thing that I feel is important is to get them up and moving. We like to sing songs and dance. Songs that encourage movement are favorites in our house. We like The Wheels on the Bus, 5 Little Monkeys, The Itsy-Bitsy Spider, and any other song that you can incorporate movement. One thing that is missing when you choose homeschooling for preschool is the social aspect. We combat this in several ways. Playdates are great. 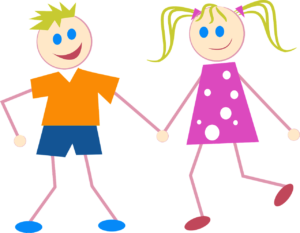 The preschool age is when most children really start interacting with each other and enjoying playing with one another. We make sure to set up frequent play dates with children of similar ages. We also do classes at our local rec center. You can read about those HERE. This allows my child to be around and interact with other children. Sports or activities are another way to gain that social aspect. For example, our son does ice skating lessons, and will eventually start hockey. These are all great ways for children to learn how to interact properly with their peers. It also teaches them how to listen to and behave with other adults. This will be a needed skill when they eventually start school. This list probably doesn’t include everything a child would learn in preschool. I’m sure I will find more as I continue to teach my son at home, and do more research. However, when I made the decision to do preschool at home, I was kind of lost on where to start. So I am sharing this in hopes to help others who are considering this path. 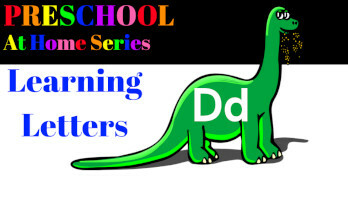 Hopefully, this printable will get your preschool at home experience off to a good start! Click Image to Download your Free Printable Checklist! 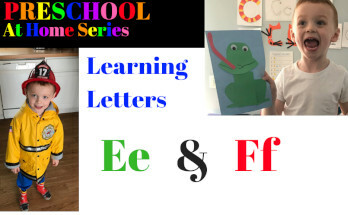 If you enjoyed this post, please check out my Preschool at Home series for more freebies, lesson planning tips, themes, ideas, and more. Just click HERE! This is great information. Thanks for organizing it so clearly. This will come in very handy! Thanks. That is a perfect comprehensive list! It is exactly what my daughter learned and created in preschool. Well thought out information. Thank you! I have been homeschooling my daughter for the past year and this all great information! Thank you for sharing! What an amazing list! I don’t plan to do preschool at home for my daughter, but she most likely won’t go every day. This is perfect for knowing where she should be at for kindergarten! Pinning for later! This is an awesome resource mama! 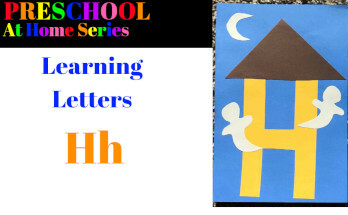 I can’t wait to start little things at home for learning! My son is 8-months and we’ve already started so many things but before I know it he will be ready for preschool-type learning! I will save this for sure! Thanks! Love these tips, it would be hard to think of all that you need to create a space for your child where they can not only learn but also have fun. Thanks so much. 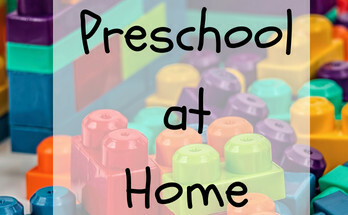 This is an amazing resource for parents who are looking to preschool at home, or even just encourage their children’s development at home on weekends/evenings! The breakdown and focus are helpful too. Definitely pinning this one and sharing! Great checklist. I always feel like I’m forgetting something. This is great thank you for sharing! 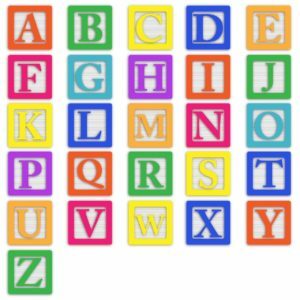 I am home with my 3 yo as well and want to make sure she is still getting exposed to the letters and numbers. This a great resource! My kids are in preschool and I don’t think I would have the energy or discipline to teach them all you mention! Kudos to you! This is such a great post! I don’t have kids yet, but the idea of at-home education has been on my mind. I doubt I would send my kids to preschool, but even if I did, it would be important to me that they have a leg up. You offered an extremely comprehensive list here. This is so helpful to me right now. My 3 year old is at the right age that he wants to learn so much. 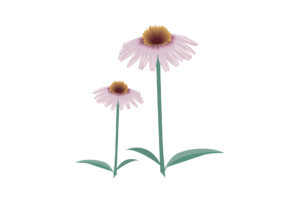 I love your printable! You may not have known where to start, but you did a great job once you got going. It’s a fabulous plan. We just had pre-K screening today, but if he doesn’t get in I will be teaching him at home! Love all your ideas. Thanks for sharing! My son is still a little young for this but these are great ideas. Just to give him a head start at a bout 1 I will take some of these ideas. Thank you I have this bookmarked so I can come back to it. They’re expected to know so much before they even start school. This is a great list of things to work on, thank you! This is a great list! I have my little one at home too and also ran a home daycare. 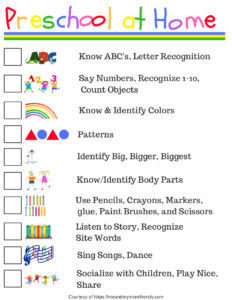 This would be a great list to laminate and have little ones check off each day with each activity completed! This is wonderful, I’ve been wanting todo some sort of preschool at home, so many great ideas. I also think social interactions are important, I plan on getting my son in a sport asap. This is a great list!! I am always working on these skills with my 3 year old, but this summer I plan on doing some more structured activity times throughout the day. I will keep your checklist handy to make sure we work on all the important skills! It’s a great information, I’ll keep it until my toddler grow up. Great insight! Do you have a copy of the printable that says “sight” words instead of “site”’words? Ah yes! I caught the typo and fixed it but must have attached the wrong copy! Smh. I’ll try and get the correct one attached when I get home today. Thanks for the heads up! As a grandmother who also taught in Primary Ed for many years, I just wanted to send you a correction that might be helpful. You mention ‘site words’ , when I believe you actually mean ‘sight words’ which are those short and frequently occurring words that children learn by sight, rather than by phonics. In English, a site is a place, as in a ‘building site’. This message is just sent to help you clarify what you’re trying to say!